The course is 5000m (5K) long. The course is at David Collins Drive, Endeavour Hills. The course is run on a mixture of gravel paths, concrete paths and timber bridges. Some sections of the course may accumulate mud, leaves and puddles after rain. Dependent on availability, marshals will be at key sections of the course, or signs will be in place. We hope these tips help to ensure that Frog Hollow parkrun is fun and safe for everyone. Playground and Toilets near Start/Finish area, street parking along James Cook Drive and David Collins Drive. Alternative parking at Gunns Rd Reserve Scout Hall, then 10 minute walk to Start/Finish area following course. The run starts on the path at the end of the gravel car park. From Dandenong Railway Station, catch the 861 bus to bus stop on James Cook Drive near Forrest Crt. Walk South on James Cook Drive to path between #362 & #368 James Cook Drive and enter Frog Hollow Reserve. Option B - Enter Frog Hollow Reserve via path between #64 & #84 David Collins Drive then head North along path towards Start/Finish area near Ovals. Option C - Enter Gunns Reserve at Scout Hall via Gunns Rd, Hallam. Travel East on path and go through Freeway underpass. Turn left onto path between lakes then follow path around, keeping the main lake on your right until you reach the Start/Finish area. From M1 Monash Freeway, take Belgrave Hallam Rd exit and head North. Continue onto Hallam North Rd. Turn left at traffic lights onto James Cook Dr. 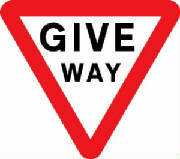 Turn left after first roundabout onto David Collins Dr. Park along James Cook Drive or David Collins drive in designated parking bays, ensuring residents still have access to their property. Please note parkrunners are not to park anywhere within Frog Hollow Reserve.